Justify the position of hydrogen in the periodic table on the basis of its electronic configuration. Write the names of isotopes of hydrogen. What is the mass ratio of these isotopes? Why does hydrogen occur in a diatomic form rather than in a monoatomic form under normal conditions? The ionization enthalpy of hydrogen atom is very high (1312 kJ mol–1). Hence, it is very hard to remove its only electron. As a result, its tendency to exist in the monoatomic form is rather low. Instead, hydrogen forms a covalent bond with another hydrogen atom and exists as a diatomic (H2) molecule. How can the production of dihydrogen, obtained from ‘coal gasification’, be increased? Describe the bulk preparation of dihydrogen by electrolytic method. What is the role of an electrolyte in this process? Discuss the consequences of high enthalpy of H–H bond in terms of chemical reactivity of dihydrogen. The ionization enthalpy of H–H bond is very high (1312 kJ mol–1). This indicates that hydrogen has a low tendency to form H+ ions. Its ionization enthalpy value is comparable to that of halogens. Hence, it forms diatomic molecules (H2), hydrides with elements, and a large number of covalent bonds. What do you understand by (i) electron-deficient, (ii) electron-precise, and (iii) electron-rich compounds of hydrogen? Provide justification with suitable examples. What characteristics do you expect from an electron-deficient hydride with respect to its structure and chemical reactions? Do you expect the carbon hydrides of the type (CnH2n + 2) to act as ‘Lewis’ acid or base? Justify your answer. What do you understand by the term “non-stoichiometric hydrides”? Do you expect this type of the hydrides to be formed by alkali metals? Justify your answer. 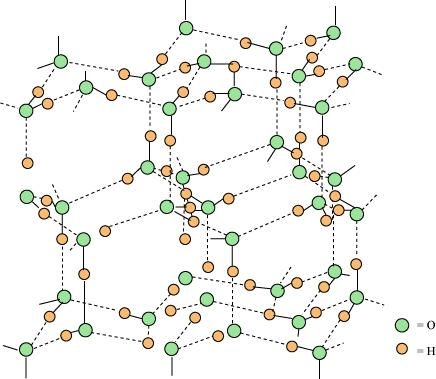 How do you expect the metallic hydrides to be useful for hydrogen storage? Explain. How does the atomic hydrogen or oxy-hydrogen torch function for cutting and welding purposes? Explain. Atomic hydrogen atoms are produced by the dissociation of dihydrogen with the help of an electric arc. This releases a huge amount of energy (435.88 kJ mol–1). This energy can be used to generate a temperature of 4000 K, which is ideal for welding and cutting metals. Hence, atomic hydrogen or oxy-hydrogen torches are used for these purposes. For this reason, atomic hydrogen is allowed to recombine on the surface to be welded to generate the desired temperature. Among NH3, H2O and HF, which would you expect to have highest magnitude of hydrogen bonding and why? Saline hydrides are known to react with water violently producing fire. Can CO2, a well known fire extinguisher, be used in this case? Explain. (iii) H–H, D–D and F–F in order of increasing bond dissociation enthalpy. The bond pair in D–D bond is more strongly attracted by the nucleus than the bond pair in H–H bond. This is because of the higher nuclear mass of D2. The stronger the attraction, the greater will be the bond strength and the higher is the bond dissociation enthalpy. Hence, the bond dissociation enthalpy of D–D is higher than H–H. However, bond dissociation enthalpy is the minimum in the case of F–F. The bond pair experiences strong repulsion from the lone pairs present on each F-centre. Compare the structures of H2O and H2O2. What do you understand by the term ’auto-protolysis’ of water? What is its significance? Consider the reaction of water with F2 and suggest, in terms of oxidation and reduction, which species are oxidized/reduced. Fluorine is reduced from zero to (– 1) oxidation state. A decrease in oxidation state indicates the reduction of fluorine. Water is oxidized from (– 2) to zero oxidation state. An increase in oxidation state indicates oxidation of water. Complete the following chemical reactions. Describe the structure of the common form of ice. What causes the temporary and permanent hardness of water? Discuss the principle and method of softening of hard water by synthetic ion-exchange resins. The process of treating permanent hardness of water using synthetic resins is based on the exchange of cations (e.g., Na+, Ca2+, Mg2+ etc) and anions (e.g., Cl–, SO42–, HCO3– etc) present in water by H+ and OH– ions respectively. Cation exchange resins are large organic molecules that contain the –SO3H group. The resin is firstly changed to RNa (from RSO3H) by treating it with NaCl. This resin then exchanges Na+ ions with Ca2+ and Mg2+ ions, thereby making the water soft. There are cation exchange resins in H+ form. The resins exchange H+ ions for Na+, Ca2+, and Mg2+ions. Anion exchange resins exchange OH– ions for anions like Cl–, , and SO42– present in water. Write chemical reactions to show the amphoteric nature of water. In the forward reaction, accepts a proton from . Hence, it acts as a Lewis base. In the forward reaction, denotes its proton to . Hence, it acts as a Lewis acid. Write chemical reactions to justify that hydrogen peroxide can function as an oxidizing as well as reducing agent. What is meant by ‘demineralised’ water and how can it be obtained? Is demineralised or distilled water useful for drinking purposes? If not, how can it be made useful? Describe the usefulness of water in biosphere and biological systems. Water is essential for all forms of life. It constitutes around 65% of the human body and 95% of plants. Water plays an important role in the biosphere owing to its high specific heat, thermal conductivity, surface tension, dipole moment, and dielectric constant. What properties of water make it useful as a solvent? What types of compound can it (i) dissolve, and (ii) hydrolyse? Water can hydrolyze metallic and non-metallic oxides, hydrides, carbides, phosphides, nitrides and various other salts. During hydrolysis, H+ and OH– ions of water interact with the reacting molecule. Knowing the properties of H2O and D2O, do you think that D2O can be used for drinking purposes? What is the difference between the terms ‘hydrolysis’ and ‘hydration’? How can saline hydrides remove traces of water from organic compounds? The elements of atomic numbers 15, 19, 23, and 44 are phosphorus, potassium, vanadium, and ruthenium respectively. Hydride of nitrogen (PH3) is a covalent molecule. It is an electron-rich hydride owing to the presence of excess electrons as a lone pair on phosphorus. Both vanadium and ruthenium belong to the d–block of the periodic table. The metals of d–block form metallic or non–stoichiometric hydrides. Hydrides of vanadium and ruthenium are therefore, metallic in nature having a deficiency of hydrogen. Phosphorus (PH3) is covalent hydride and slightly soluble in water. Do you expect different products in solution when aluminium (III) chloride and potassium chloride treated separately with (i) normal water (ii) acidified water, and (iii) alkaline water? Write equations wherever necessary. In acidified water, H+ ions react with Al(OH)3 forming water and giving Al3+ ions. Hence, in acidified water, AlCl3 will exist as and ions. How does H2O2 behave as a bleaching agent? Dihydrogen releases more energy than petrol and is more eco–friendly. Hence, it can be used in fuel cells to generate electric power. Hydrogen economy is about the transmission of this energy in the form of dihydrogen.